The Eppendorf 5810R refrigerated centrifuge features a brushless motor and an internal capacity of up to four 400 ml tubes or 16 microplates. This centrifuge accommodates a variety of rotors to meet your application needs including the F-45-30-11 Rotor, the A-4-81 Rotor (extra cost), and the A-4-62 Swing bucket rotor. This versatile centrifuge has a maximum speed of up 14,000 rotations per minute and a maximum g-force of 20,800 x g, making it the perfect benchtop centrifuge for just about any application. With a compact height of only 13 inches, the 5810R is perfect for use in close areas or under storage shelving. This Eppendorf centrifuge has dynamic temperate capability ranging from as cold as -9°C to as hot as 40°C. 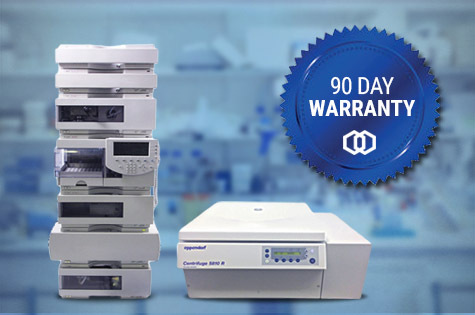 The 5810R is considered a stable centrifuge throughout the scientific community and can be used in applications ranging from separating cell lysates to creating DNA precipitations. The refrigerated centrifuge also features an onboard LCD display for rotation speed, time left in cycle, and internal temperature. Please confirm this rotor meets your application needs and request a different rotor, if necessary. Available rotors can be found in our Rotor Compatibility Guide. Includes: one rotor; fixed angle FA-45-30-11 or F-34-6-38 or A-4-62 swing bucket rotors and buckets (several adapters or well plate buckets also available; the A-4-81 is also available at an extra charge) operator's guide, power cord, and full 90 day parts and labor warranty. 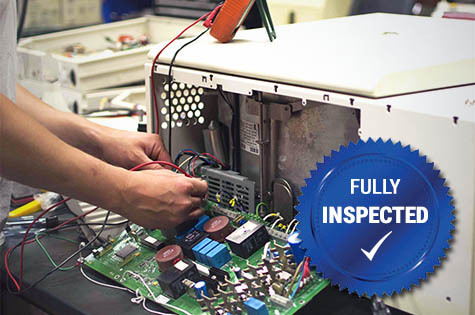 Looking for this product new rather than refurbished?